The notorious crime families continue to battle to take control of illegal activities in Glasgow while the body count mounts. For generations the Lyons and Daniel families have allegedly been embroiled in a bloody feud over territory, drugs and money across Glasgow and are reputed to be at the top of the country's crime league. The two are bitter enemies as they fight to take control of numerous illegal trades, from drug dealing to protection rackets. The last known act of violence was eight weeks ago when an associate of the Daniel family, Kevin 'Gerbil' Carroll, was gunned down outside an Asda store in Robroyston. At the time of his shooting police sources said Mr Carroll was a "major player" and "retribution was likely". Sources at the time told STV News there was a £50,000 "bounty" on offer for killing Carroll as a result of the tactics for which he and his associates were renowned. These included dressing in black and pretending to be a police team when breaking down the doors of drug dealers in late-night raids. It is understood the gang figures would then kidnap the main dealer, before torturing him to hand over £50,000. In November 2006, Carroll and an associate Ross Sherlock were gunned down at close range in Clelland Avenue in Bishopbriggs. Carroll was left fighting for his life after being shot in the stomach. One month later in December, Carroll's rival Robert Pickett escaped with his life after being shot at an MoT garage in Lambhill, Glasgow. 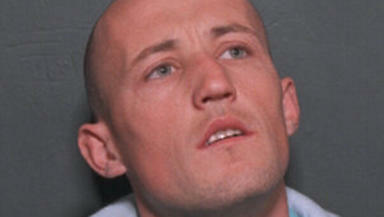 In that same attack, Glasgow gangland family member Michael Lyons died and his cousin Steven Lyons lost a leg. It is alleged that hitmen hired by the Daniel family gunned down 21-year-old Michael at his uncle's garage, Applerow Motorists. In 2008 Raymond Anderson and James McDonald were jailed for 35 years - the highest sentence ever handed down by a Scottish court. The garage's owner, David Lyons, who witnessed the shooting in 2006, is the father of Paul Lyons. Paul is facing jail after admitting the road rage killing of a young father on the M74 near Larkhall in June last year. Last week Vosa, the Vehicle and Operators Service Agency, withdrew Applerow Motors' permission to carry out MOTs, amid claims it is a crime baron's HQ. The agency says it is working with Strathclyde Police to maintain public safety in one line of inquiry to stamp out gangland crime across the city.